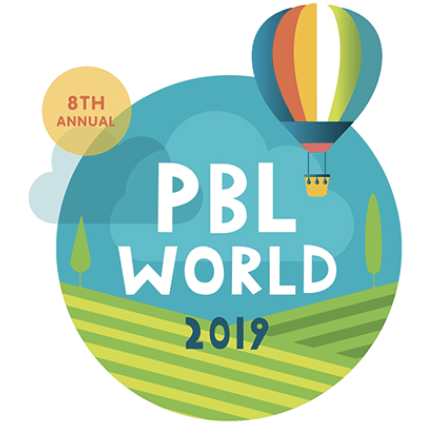 A growing number of educators around the world believe that project based learning (PBL) is an important instructional approach that enables students to master academic skills and content knowledge, develop skills necessary for future success, and build the personal agency needed to tackle life’s and the world’s challenges. Projects are an easy way to engage students in authentic challenges, but delivering all of the possible benefits requires well-constructed, sustained and supported experiences. A new Framework for High Quality Project Based Learning (HQPBL) was developed to help teachers better prepare young people to contribute in the innovation economy. This post provides a brief rationale for project based learning, outlines the new HQPBL framework, and provides tips on using the framework effectively. “Artificial intelligence and machine learning are taking over jobs that don’t require as much creativity,” said Joi Ito, who directs the MIT Media Lab. That’s why he advocates for the 4Ps: projects, peers, passion and play. “We know project-based learning is more effective than textbook-based learning,” said Ito. He added that interest-driven learning is more motivating and better retained. Ito reflected that “school is almost the opposite of these four,” noting that peer learning is often called cheating and play is relegated to recess. The work of the Media Lab is interdisciplinary or multidisciplinary. Ito thinks that (like New Tech Network) interdisciplinary projects would be a good way to organize school. Project management is one of the most important career skills (see a longer discussion in our report Preparing Students for a Project Based World). Projects are the best way to build transferable career-ready skills including self-direction and management, critical thinking and problem solving, media literacy and technology skills. Team projects build social awareness and collaboration skills. Using design thinking skills to attacking new situations and constructing projects prepares young people for a life full of novelty and complexity. Building all of these deeper learning benefits into a project and ensuring that students experiences are high quality requires a comprehensive approach. Until now, there has not been a common guidepost and language for describing what high quality PBL student experiences look like. Many organizations have project tools and resources available for educators looking to plan for PBL, but these do not articulate criteria for what the resulting student PBL experience ought to include and look like. Top experts in project based learning came together to create a framework for high quality project based learning to help more students reach deeper learning outcomes. The new HQPBL framework is based on best practice research and went through several rounds of feedback and critique from hundreds of leading educators. Students learn deeply, think critically, and strive for excellence. investigate challenging problems, questions, and issues over an extended period of time? focus on concepts, knowledge, and skills central to subject areas and intellectual disciplines? experience research-based instruction and support as needed for learning and project success? commit themselves to completing work of the highest quality? engage in work that makes an impact on or otherwise connects to the world beyond school, and to their personal interests and concerns? use the tools, techniques, and/or digital technologies employed in the world beyond school? make choices regarding project topics, activities, and/or products? Students’ work is publicly displayed, discussed, and critiqued. share their work-in-progress with peers, teachers, and others for feedback? exhibit their work, and describe their learning, to peers and people beyond the classroom? receive feedback and/or engage in dialogue with their audiences? Students collaborate with other students in person or online and/or receive guidance from adult mentors and experts. work in teams to complete complex tasks? learn to become effective team members and leaders? learn how to work with adult mentors, experts, community members, businesses, and organizations? Students use a project management process that enables them to proceed effectively from project initiation to completion. manage themselves and their teams efficiently and effectively throughout a multi-step project? learn to use project management processes, tools, and strategies? use the perspectives and processes of design thinking, as appropriate? Students reflect on their work and their learning throughout the project. learn to assess and suggest improvements in their own and other students’ work? reflect on, write about, and discuss the academic content, concepts, and success skills they are learning? use reflection as a tool to increase their own personal agency? Who developed the HQPBL framework? With support from Project Management Institute Educational Foundation and the William and Flora Hewlett Foundation, the Buck Institute for Education, with help from Getting Smart, convened a 27-member steering committee and a 90 member advisory board. The design process focused on describing, from a student’s perspective, what a high quality PBL experience should include. The steering committee and advisors were supported by a research review and comments from hundreds of educators who graciously shared their perspectives and ideas after reviewing the draft framework at professional meetings or by visiting HQPBL. How can I use the Framework? The Framework provides an essential starting point for educators, students, parents, and community members as they consider how to make classrooms and schools productive and innovative environments preparing students for adult success. Anyone who is seeking to provide students with high quality PBL experiences can use the Framework to reflect on a PBL experience or as a conversation starter. Additional Framework resources and tools are currently being developed. Does HQPBL replace our project design approach? The Framework does not replace a teacher project design framework like Buck’s Gold Standard Design Elements. The steps an educator uses to plan for PBL and/or the content in their plan may be impacted after reflecting on the Framework for HQPBL, but the intent of the Framework is to focus on the student experience as a result of PBL — not to critique PBL planning or design. The Framework can be used to reflect on student PBL experiences and how they can improve to be even higher quality. What about other criteria for high quality PBL that aren’t on this list? The HQPBL Framework is comprehensive but not complete. Other factors such as classroom and school culture, quality instructional materials and practices, adequate time for teachers to learn and plan, and adaptable policies for curriculum delivery and assessment are equally important for the effectiveness of PBL. Also imperative is the fundamental belief that all students can learn, and that their voices should be heard in their own education. Where can I learn more? Visit HQPBL to find supports and the official partner list. You can also email hqpbl.org@gmail.com if you have questions or would like to learn more. This blog is a part of the HQPBL Campaign supported by the Buck Institute for Education and sponsored by the Project Management Institute Educational Foundation and the Hewlett Foundation. For more, visit hqpbl.org and follow @hqpbl and #hqpbl on Twitter and Instagram.